We are excited to sponsor James Roe Jr., of Naas, Kildare County. James is looking forward to competing at the 18 turn, 2.8 mile Pittsburgh International Race Complex. James comes into the 9th and 10th rounds of the F2000 Championship having reached the podium at every track that the Series has competed at so far this season. Going into this weekend Roe Jr. stands 4th in the points just 1 point behind 3rdplace. James hopes to keep winning podium streak alive! 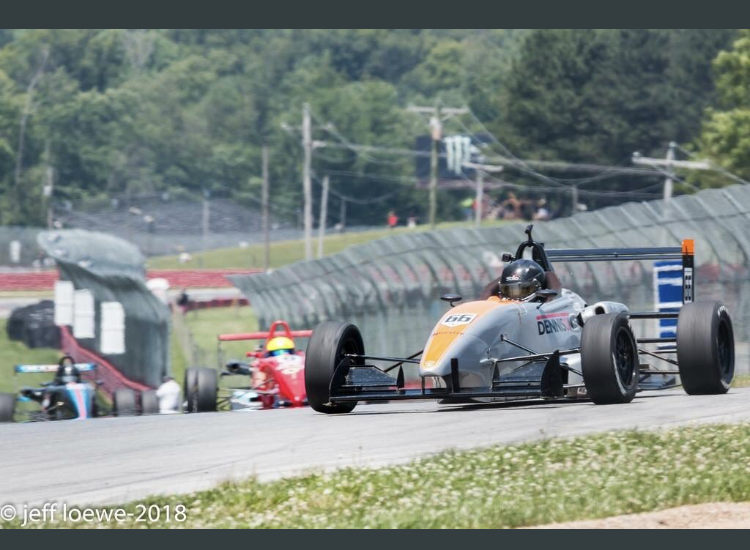 “After Mid-Ohio we went straight to a local track to find the cause of the issues we experienced” said Roe Jr. “Thankfully,we got everything sorted and the Mazda engine is back on song. I’m really excited about this coming weekend and optimistic that the track suits our package. Rounds 9 and 10 of the F2000 Championship are August 3rd– August 5th at Pittsburgh International Race Complex.